But finally, after many years I have successfully narrowed the search into good a little pool of most used. These are my everday/night reliables. There’s still more out thereto try. For example, I’m keen to test Bobbi Brown, Nars and Charlotte Tilbury but until budget allows for it these are my current faves. This is a truly lovely budget option. I have blogged about this before so it’s a testament to the product that it’s still a staple. It gives a lovely glow to the face, without making it look/feel greasy and I think the coverage is decent too. It’s more on the medium side than light coverage butwhilst I love this for day-to day, it’s not quite enough for a night out. Many beauty bloggers also rave about this one, Sali Hughes being one of them. I find it works best with a good moisturiser underneath and applied with a damp beauty blender. Did I mention it smells like apricots? Mmm yum. You can find it here. Combination skin, for me, responds really well to mineral foundation. It’s light, breathable, and adapts to the skin’s own shade. The old packaging was better because it had a brush in the lid and the powder came through little holes which you could sweep up. This style has a little mesh cover which you push your brush into to transfer the foundation. Not as easy but workable. This is light coverage yet at lasts all day. You will find it on your flannel when you cleanse in the evening. I wear this when I want to feel like I’m wearing nothing. It’s 95% minerals and mattifying to fight oiliness. It claims to improve skin in 4 weeks, but I can’t attest to that. The number of products I use each day to help my skin… there would be no way of knowing which one was doing the improving. But if you’re looking for a budget mineral, this is the best one I’ve used. Found here. Like the Bourjois, this gives a radiance boost for tired skin. It’s silky texture glides onto the skin lovely. It’s also Hypo-allergenic and SPF15. This makes a good summer foundation because it’s very light on the skin. 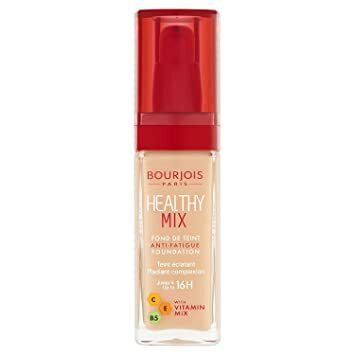 It’s coverage isn’t as comprehensive as the Bourjois – it’s incredibly natural but illuminating – and I’m not convinced it lasts as long but I can’t argue with the results. The illuminating ingredient doesn’t make my skin oily either so for the price this is a decent little foundation. Unlike some of the higher end competitors, No7 also offer a pleasing shade range for a high street brand so there should be something for everyone. 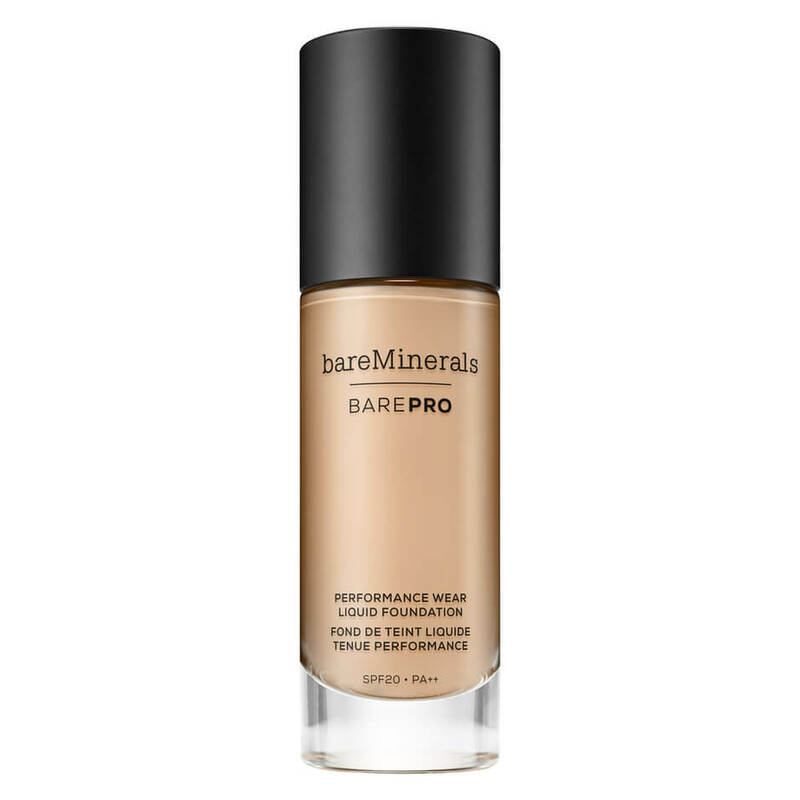 I bought this to try on a night out after hearing good reviews from friends who use Bare Minerals. I’ve not yet put it through its paces but have been wearing it all day and it’s still where I left it this morning. The assistant assured me it had good staying power for sweat/humidity and wouldn’t leave me shiny faced at 2AM – something none of us enjoy. Who wants to blot mid dance? It’s buildable as well which offers more versatility on your choice of coverage i.e. medium or heavy. And yet, still not cakey. When I was browsing in the shop and trying out all the foundations on the back of my hand this one sank into my cracks least. I felt this was a good sign for my face.